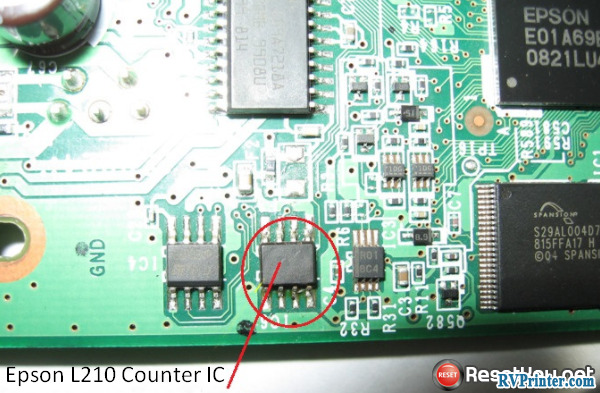 Hello, today we are introducing you how to replace red light blinking in Epson L210 printer by Reset Epson L210 Waste Ink Counter. As we know that when we use a red light blinking means we will press button for 20 seconds and it will not appear automatically. So what happened with it if we continue doing this procedure more and it’ll be stuck on the red light blinking, this problem only overcome when the red light blinking is stuck. 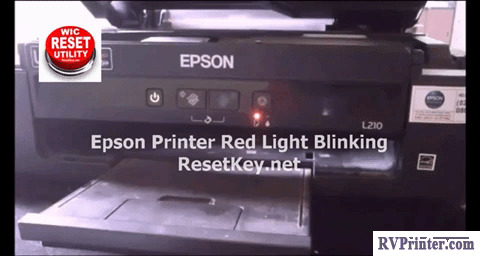 Now you can follow a small program provided by ResetKey.net named Epson L210 Resetter we show you below. We will look for the reason why your Epson L210 met this error and how to set Epson L210 before we learn to fix red light flashing in Epson L210 printer. There is a Waste Ink Pad inside Epson L210 printer. These pads involve sponge for attracting, collecting waste inks when Epson L210 printer is running. Waste ink Pads are vital. When these waste ink pads are overflowed, Epson L210 printer will stop printing automatically. 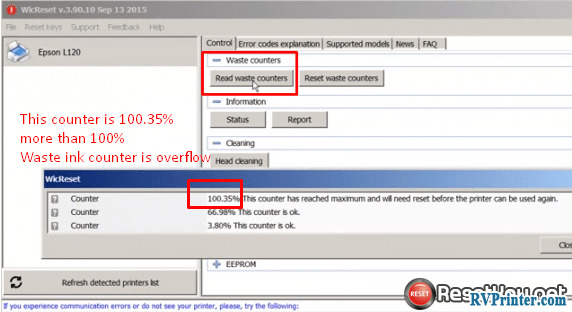 Epson L210 has a Counter IC and this IC calculate how much ink flows to waste ink pad and keeps it into printer’s memory. We call this number is Waste Ink Counter. You will meet the message show that: “The Printer’s Ink Pad is at the end of their service life. 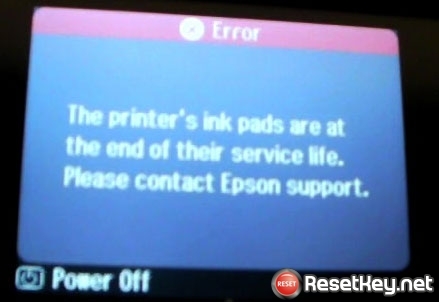 Please contact the Epson Support” or “The printer’s Ink Pad is at the end of its service life. Please contact Epson Support” when you click printer icon. Step 1: Connect Epson L210 which you need to reset by USB to your PC. Step 2: All other printers need disconnecting. 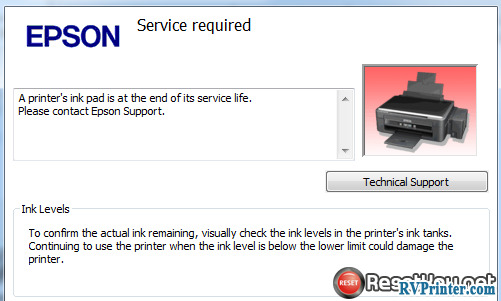 Step 3: Close all printer’s jobs and turn off and on the Epson L210 printer. Wait for a second, and a critical alert appears, this tells you to turn your printer OFF. Let press OFF the printer then turn it on again. Then WIC Reset Utility Tool gives you a message: “Congratulations. 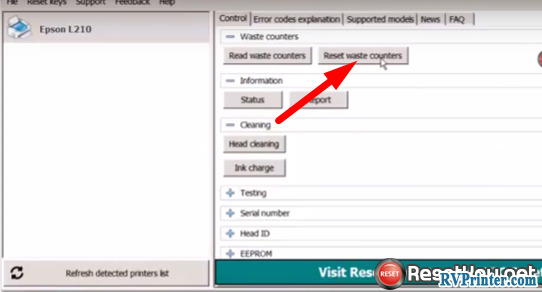 Your printer’s waste counter has now been reset” that means your printer reset successfully. Now your Epson L210 printer is completely retested with using condition. Let’s go on your work, thanks for reading!